"Great Product Full Of Inspiring Wisdom And Practical Ways To Increase Your Confidence"
Very realistic, practical advice on how you can increase your confidence. Hypnotica has a lot of experience with both dating and self-help in general, and his knowledge is based on book learning as well as real-world experience. While the program is geared towards improving your success with women, it really is applicable to improving all areas of your life. The hypnosis sessions are very relaxing. There isn't really a lot to find fault with here. It's tough to evaluate the effectiveness of the actual hypnosis sessions, as in all likelihood the degree to which they work will vary from person to person. This is an excellent product that really gets to the heart of what true confidence is. The audio lessons are quite short, but packed full of useful information. The exercises start off quite easy and build progressively so that you will challenge yourself and grow. This product doesn't cover anything in terms of 'outer game' such as how to talk to women, so if that's what you're looking for you won't find it here. But if you want a way to improve yourself and have people respond to you more positively, this is a product that you will want to buy. The course is designed to give you a practical blueprint to follow aimed at increasing your confidence. While it's specifically related to women and dating, the principles here are useful for all areas of your life and will make you a more confident man overall. 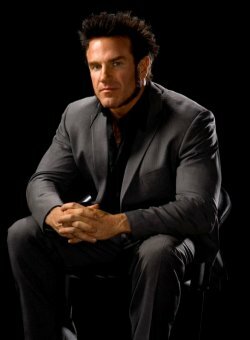 Hypnotica has been involved in the dating advice industry for many years now, and was famously credited by Style in The Game as being one of the main influences for helping him improve his confidence and inner game. He has also worked with other top dating coaches, such as David DeAngelo, and is often referred to as the 'Inner Game Guru'. Aside from being an expert in NLP and hypnosis, he also has many years of experience in the stripping business. He's worked as a stripper himself but mostly has spent his time as a bouncer and manager at strip clubs. This means he has a ton of real world experience dealing with very attractive and desirable women, and has a unique perspective when it comes to offering dating advice. For more on Hypnotica check out our detailed bio right here. The thing about this course is that it will require you to do some work to reap the benefits. Hypnotica stresses the importance of you actually taking the time to do the exercises properly before moving on to the meditations. The exercises vary from easy to complete to quite difficult at the end, as it is purposely designed to challenge yourself and blow past your comfort zone. The first exercise you'll be guided through involves writing down a list of all your goals with women. This might sound like something you've heard before, but Hypnotica teaches you the most effective way to do this and how to make them as accurate as possible. This is important to do, as many guys often just set a vague goal of being better with women, without actually knowing what this means. Hypnotica talks about how the first time he did this he ended up with a detailed list of goals that took up three pages, and how they came to fruition. The way this is taught is very similar to affirmations, and work best if you recite your goals a few times a day at first to let them sink in. Once you have done this for your goals with women and dating, you can easily use this technique for creating goals and improving other areas of your life. One of the main themes that runs through this course is that of change. Hypnotica goes into detail about how the key to improving yourself, and thus your success with women, is to constantly change and grow. In fact, he goes as far as to say that personal change is the basis of your happiness, so it's clearly something to devote your time to. A lot of guys who discover the dating advice community come into it looking to learn new things and acquire more knowledge. And there's definitely a lot of value in that, but Hypnotica talks about how many guys just need to unlearn some of the things they believe about themselves. Which is true, in that the underlying cause of low confidence is normally some negative beliefs that are based on past experiences. People tend to dwell on such events and exaggerate them in their own mind that they believe they reflect reality, instead of just their subjective opinion of it. This is the reason for the second lesson and exercise, which is all about being able to change your beliefs. He points out that most guys don't approach women because the negative thoughts they tell themselves prevent them from doing so. So if you see a woman and your first thought is that you are too old, young, short, fat etc. to talk to her you are not grounded in reality. It's just your opinion, and could be one that the girl in question completely disagrees with. Hypnotica takes you through how to learn to change your beliefs in a way that is very simple to practice. It is isn't an instantaneous fix, as changing your beliefs long term requires dedication and persistence, but the technique he describes is easy to implement and you can have a lot of fun with it. The end goal of this course I would say, is to have you taking actions and making decisions without being held back by fear. And the way to get past your fear is to confront it head on, which will lead to more courage and confidence. One of the biggest obstacles guys face with meeting women is the initial approach. So there is an exercise here designed to rewire your brain so that you get into the habit of taking action when you see an attractive woman. The exercise doesn't involve getting into a conversation with women, although you can if you wish, but you are required to approach women and ask them a simple question. The interaction itself is not important, but rather that you get used to taking physical action instead of being paralyzed by fear. The concept of rejection is covered as well, with Hypnotica stating his belief that rejection doesn't really exist. Rather, there is only how people react to others and it only means whatever meaning you give it. This is an important point to get handled, as he states that men who are afraid to make mistakes and risk rejection lack boldness and a spirit of adventure, both of which are qualities that women find attractive in men. Both are also vital to being successful in all aspects of your life. So if this is something you need to work on, this course is a good place to start. Hypnotica actually does a good job of reframing the entire concept of mistakes, and putting a positive spin on it. He makes a compelling argument about how mistakes are necessary for growth, and the people that ultimately have the most success are those who make mistakes quickly and learn from them, so they can move forward. And he lets you know that you don't need to be perfect in what you're doing, and it doesn't matter where you're starting from. If you accept yourself for wherever you are and keep growing everyday, you'll be fine. And one of the quickest ways to grow is to be constantly expanding your comfort zone. This is the basis for the final exercise, which is designed to be difficult. Basically it involves doing anything that might make you feel uncomfortable in a social sense. Hypnotica talks about his own experiences which included dressing in drag on the streets of San Francisco asking people for a date; going to nudist colonies, walking through malls with his finger stuck up his nose and wearing kitty masks to nightclubs. This might sound a bit extreme and kind of weird, but he says he's never encountered a more powerful exercise for building deep acceptance within himself. You don't need to do any of these things to get the same results, and he advises how you can start smaller depending on your situation. So instead of dressing in drag you might just walk around in a really ugly shirt or wear something with ketchup stains on it. The idea is that you start small and can work your way up. You decide whatever it is that is going to test you the most, and in case you are worried about doing anything that might compromise your career or reputation, he says it's okay to do the exercises in a different town or city. The toughest thing to evaluate about this course is how well the guided meditation sessions will work for you. The whole topic of NLP and hypnosis still causes much debate in the scientific community, with no clear consensus that has been accepted by all. I think part of the problem is that people respond to NLP-based techniques differently, so what works extremely well for one person, might not help at all for another. There is a school of thought that the more open you are to these ideas and the more you practice them, the better they will work for you. I can say that personally I found these hypnosis sessions to be very relaxing, and enjoyed listening to them. He says you can listen to them whenever and as much as you want, but only after doing the exercises first. I'd recommend listening to them before you go to bed, as they do get you into a very relaxed and calm state. It's hard to assess how well they work in actually improving your confidence, as there is no real way of measuring the results. If your confidence increases, is it the result of simply doing the exercises? Just the meditations? A combination of both? If I had to make a guess, I'd say that the meditations do help to some degree, but not as much as you yourself taking the necessary steps to proactively change and grow. One of the highlights of this course was the talk about being an assertive man. This is one of the keys to improving your success with women, as guys who have limited experience are often too passive. But being aggressive isn't the answer either, as Hypnotica points out from his years managing clubs that aggressive and rude men quickly chase women away. So there's really solid advice here on the difference between being assertive and aggressive, and why being assertive in social situations is a good thing. In fact, Hypnotica indicates that being assertive is the number one skill you can learn to boost your self-esteem and confidence, reduce your stress levels, and get everything you want out of life. Assertiveness is the ability to formulate and communicate your thoughts, opinions and wishes in a clear, direct and non-aggressive way. Assertive behaviour involves being clear about your own needs and expressing them respectfully to others. It also takes into account other people's feelings, and how your aim should be to create a win-win situation so that everyone is happy. From my own experience and having seen many men interacting with women, I think this ability to be assertive is one of the biggest factors in whether or not women find a man attractive or instead perceive him as the nice guy who they have no romantic interest in. So the lessons in this course are a really good explanation and an invaluable resource. Does Collection Of Confidence Live Up To The Video/Marketing? The marketing has changed since we first reviewed this course, and it now makes some bold claims. So it's important to note what these are and see if the reality lives up to these, so that your expectations are being met if you choose to purchase this product. Which women it works with? It will get you any woman you want. How easy is it to use? How much effort does it take? You won't have to do any work, women will make all the moves on you and be begging to sleep with you. Which women it works with? Nothing works with 100% of women - and 100% of situations - and that includes The Collection of Confidence. However, confidence is the most universally attractive trait a man can have, so if you implement this course correctly it'll make you significantly more attractive to women. What it'll do for you. The end result of this course is that you should have much less worry and concern about what other people think of you. When people let that 'inner voice' gain too much power over them, it's often related to how others will perceive them. So by switching off that voice it'll help you to be more self-assured and take action, but not necessarily more attractive to women by itself. How easy to use is it? How much effort does it take? The reality is that women aren't going to start throwing themselves at you. No product can make this happen. You may notice women putting more of an effort into the interaction, but as a man it's still your job to make the moves and lead things forward. Overall the marketing makes it sound like it's something where you can just sit back and have all the women chase you. That's not how things work in the real world. You're going to have to put in some work if you want to see results. If you accept that you're going to need to take action, and that you'll never get all the women you want by being passive, then this product can really help you gain the confidence needed to make that happen. If you're focused on long-term success and improvement, and not seeking a magic pill solution, this will be a solid investment. Hypnotica – Inner Game Guru, PUA Master, and Author of Metawhore – introduces a comprehensive confidence program to help men discover the guarded secrets behind developing unshakeable confidence in order to connect with women. The program is Hypnotica’s fast track system based on his 20 years of trial and error, real-life experiences. Every part of the training includes step-by-step instructions to ensure the information is understood. Powerful music meditations from brain entrainment / trance expert, Denver Clay are also used. The meditations are designed to subconsciously reinforce the strategies and manifest learning for ideal confidence levels. 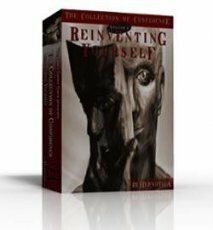 The foundation level that brings together the building blocks for self-confidence via a self-reinvention process. Effective methods to eliminate rejection. The methods are aimed to help men release their fear and experience personal and mental freedom. This step is about the power of assertiveness. This is an exercise and meditation for building upon and improving what has been learned. "The Amount of Changes I've Noticed is PHENOMENAL"
I finished the entire program a few days ago, and I'd been working on it at since it was released. Looking back from where I started, the amount of changes I've noticed is PHENOMENAL. At the beginning of the program, when I wrote down my goals, I actually laughed at how absurd some of my goals seemed. It was like I was describing some kind of fantasy world that could never come to exist. But now, a surprising number of them are actually right here and right now, and a part of me. Not every goal has been reached yet, but that's because I recognize I still have a very long road ahead of me, and this program has taught me to enjoy the process of change instead of fearing it! Before I started this program, I was at total rock-bottom confidence-wise. I had no idea what I was doing with my life, I had no real friends, I could literally not hold eye contact (my eyes would begin to tear up and I'd physiologically start to cry), and I had no sense of humor or confidence at all. Now, I have no problem being friendly and outgoing, I've grown to love holding eye contact (and it gets me a lot of smiles and hi's too!) with no problem, and I've learned the beauty of setting goals and the thrilling rush of achieving them. I used to be able to go days without saying a word (literally! ), but now I regularly greet people on the street and brighten their day with smiles, eye contact, and friendly greetings. I can't remember which CD it was on, but something really memorable stuck with me. 'Are you influenced by your environment, or do you influence your environment?' This is what I'm striving to become. One of the steps in the program has you do something that is way out of your comfort zone. A few days ago, I attended this huge dinner party at my school. I had no problem opening sets and becoming very friendly with others. I actually got up and did a bamboo dance with this very hot girl I was talking with! I couldn't believe I was doing a dance I've NEVER done before, in front of literally 100+ strangers, and with a hot girl! I had SO much fun, it makes me wonder how I lived before I found this program that I would have never dared done such a thing. This is from a guy that about 6 weeks ago, would NOT have even gone to this dinner party because he was so shy and afraid he wouldn't be able to talk to anyone and look like a loner. This program has made me blossom into what I've always wanted to be. It feels like it took all the pent-up energy I had, and helped me use it to guide myself along the path, showing me the door, so I can open it for myself. Like someone said earlier, this program is the best friend I've never had, that's supportive and understanding and helping me change myself for the better. I want to sincerely thank you, Hypnotica. You've made a profound difference in my life. "Wordy and intellectual. Commands are in the future tense, "You're going to make changes."" I just find the hypnosis to lack impact, and it often pulls me out of trance whenever he says something jarring like "when you decide to start continuing to allow your body to choose to relax." What?? Notice all of the stacked passive verbs. If you've already got us in a trance, just say, "Relax." It would be a much smoother ride down to trancesylvania. Or every time he tries to say, "You're mine." instead of "..your mind." I feel manipulated when he says that and it instantly puts me on guard and resistant. The unconscious mind understands simple language, like a child, understands symbols and imagery. If you want to make an impression on the unconscious mind, you don't use 20 abstract words to convey your message when you can convey it in 2 or 3 words. "...open your mind up… to the changes that you are now…...ready for them!" The above is in the hypnosis track. He's trying to mix Ross Jeffries covert hypnosis idea, where you embed commands into your everyday language, with overt hypnosis where you induce a trance, then issue commands or suggestions. I believe this is a fail on both accounts. If you were to say that in conversation, of course it fails in the overt conversation. The idea is to make the sentence/statement make sense BOTH overtly and covertly. In the above example, the above sentence makes no sense overtly, and it could have more impact if he smoothly stated, "You are ready for the changes in your life." We're already hypnotized, so why make the command so unclear? At best, the subject will have to work out what Hypnotica was trying to suggest, and then go, "Oh, that was clever." "Perhaps you may be more aware of some things than you were before. Perhaps you can feel certain sensations, and thoughts, and you can allow yourself to become more aware of certain things in a variety of different ways. You can relax more quickly than you may have seen before." I would describe the above as unnecessarily verbose and vague. Also the last bit, "you can relax more quickly than you may have seen before," is worded poorly. Instead, I would have liked the hypnotist to be more specific in his suggestions, such as, for example, "You can feel the weight of your hands," instead of not directing my mind to any 'sensation' specifically. "And it’s nice to know that you don’t have to give just too much effort to bother making the time to experience a letting go in your own way within your own time now." I can hear the influence of Ross Jeffries in the above, and it's wording is just weird and hard to follow. Also, I think a couple of the affirmations, for example, in track 4 of the 2nd CD, should be worded differently. "You are a positive individual who sees the problems ONLY as opportunities." "You use negative emotions ONLY as building blocks for a more positive future." I think the above affirmations would be much more effective and positive if you remove the word "ONLY." "When you encounter a problem, you see an opportunity." "You have the power to make changes." "You can release your fear." "You live in a safe world." "You are rising above thoughts that make your heart angry or afraid." "It Really Changed My Life.."
I started using Hypnotica's stuff (confidence) about a 3 weeks ago and it really changed my life.. We had a Rock Band party at my boss's house with 15+ coworkers,s which included direct reports.. I have never sang kareoke or sang in front of anyone, but that night I felt compelled to bastardize 'Hungry like the wolf, which I did in a spectacular way.. Wow.. I wanted to devastate sabotage in a bad way, but nobody would give me the mic..
Three days later, we got a new account rep for one of our suppliers, hot 25 year old.. I never said a word to her and the next day she started sending me suspect emails.. I was a douche bag it took me 3 follow up emails to figure out she wanted me.. I ended up going out with her and I do when she is in town.. I find myself in the weirdest position in my life, where I care so much about my closest friends. The expectations for myself, I don't worry about because I know it is going to happen. I feel so compelled to bring positivity to people that surround me, especially the people close to me. Life has really been in slo-motion recently, where everyone wants to be around me. The best thing about all of it, is that i use my reality to bring happiness to all that surrounds me. I have been recently introduced to Wayne Dyer and Psycho-cybernetics, and this is the same plane as those in a slightly different context.. Like the matrix without bullet dodging and flying.. This isn't to pimp anyone's product..But I do thank Hypnotica for producing that Jack in the box sound that is stuck in MY HEAD ALL DAY. Yes his voice and the music is paralyzing..
"Pretty Interesting and Even Scary Experience"
I tried it for the first time last night, while I was pretty exhausted. After a few minutes I started drifting in and out of sleep, and I think missed a lot of stuff, including whatever the 'cave of chaos' is. The only strange thing that happened to me was near the middle of the track: all of a sudden I started seeing things with my eyes closed and experienced some spatial disorientation (I felt like I was twisting in a clock-wise direction in bed even though I was perfectly still). It was a pretty interesting and even scary experience, but I felt pretty much the same the morning after. I'll try it again some other time when I'm not so sleepy. "I think it Will Assist You in Your Journey"
Basically 'anyone who also puts work INTO the process, will get OUT precisely what they were aiming for' sums it up pretty good. Each step takes you further out of your comfort zone with each exercise and has you realize what your potential is. This is not a program where you listen to it once and you become an approaching machine. This program actually took about 4 months to complete. It is designed for you to spend a week on each CD but i found that I needed more time with each exercise and that I really wanted to smash in the hypnotic suggestions in each track so I usually listened to it each night for about 2 weeks before moving on. I will say that I did not finish step 5 completely and I do not remember why, I think I was a little busy and lost momentum on the project and then lost my nerve. Thinking about it I would like to go back and do it again, I think it will assist you in your journey but not be the answer. Do I still have AA, yes, for sure I do. Do I feel more confident in general, and do I understand that AA is natural and part of the process, yes. I would give this 4/5 stars and just realize that it takes time. Woah! This guy takes hypnosis to a whole new level. For people who have confidence issue this is life changing! I Was always generally more confident than most guys around me, but this brings you to a whole new level of awareness and understanding about yourself. YOU WILL SEE YOURSELF IN A NEW LIGHT, Almost as if you have been released from chains that have been holding you back for so long has finally been unchained! Highly reccomended. Thanks hypnotica for your contribution to humanity. I am fairly new to the game. I just got out of five year relationship. Several years before I started practicing self hypnosis to organize my life. I downloaded the free hypnosis tracks from the SoI website. These tracks were simply amazing. When Hypnotica put on his new product I order it immediately. I am currently working through CDs but it takes time to do it right. However, the bonus hypnosis tracks are simply mind blowing. The production quality is really amazing compared with other hypnosis products on the market today. There is really no words to describe what the hypnosis is like, it just mind blowing. I will have a full review up when I finished when the course. Keep up the good work Hypnotica! PS - This subtitle is the Confidence Collection Volume I, so can we expect to be seeing a Volume II in the near future? I recently purchased and received this program in the mail and am extremely impressed with the product so far. I have listened to the first part of CD 1 and to several of the bonus tracks. The quality of the recording and the music is AWESOME! I have made a commitment that I will follow exactly what Hypnotica says and do each step fully and completely before moving on. Too many times in the past I have been a passive listener and I never gained anything from programs. I have already written down nearly two pages of specific goals and have been keeping a journal in which I write them down each morning upon waking and each night before bed. It's crazy because I can almost recite them word for word and I find myself saying them in my head at various times throughout the day without even thinking to. The one question I have about the program is as follows: How long should one spend on each of the various stages? I understand I am supposed to only move on when I am extremely inspired and motivated by my goals on stage 1. I feel like I am close but it has only been a few days. When the time comes and I am ready for the next stages, How long do you recommend spending dedicated to each stage? "In My Humble Opinion, Amazing." There are also some bonus CDs that I have yet to explore. I really do feel much freer from the flawed social programming that has developed over the past 27 years of my life. I think back on some events that have irrationally impacted how I interact socially today. What I have come to realize is that the events of the past don't define who I am today in any way. In fact, the way the others react reflects on them and their world...not mine. However they choose to perceive me is fine. Don't expect to finish this in a week. It is a gradual and rewarding process. Hope this helps someone out in the community. I bought it as soon as I heard it was ready. I just listened to one of the 'bonus' meditations (which you can listen to at any time, as opposed to the first 5 discs, which I am going to FOLLOW TO THE LETTER, and not skip over anything--you're not supposed to jump around from disc to disc until you've done the work on each one, in order), and this was honestly mindblowing. I literally just logged in now to see if anyone else started to listen to this, but apparently I'm the first to post. (EDIT: realized I'm not) This is better even than I expected, and knowing Hypnotica's reputation for perfection I was expecting a lot. I was just listening to the 'approaching' medition...honestly, my ipod landed on it while I was scrolling and it started to play, so I figured I'd listen to that one. Wow. intense. I had to stop listening because it was that intense...good intense, deep and provocative. I was laying on my couch, and had to just stop for a sec and catch my breath, refocus. Fuc-king-in-ten-se. Anyone that knows me knows that I am not one to normally rant and rave so profusely about something like this, I am far from being a community product junkie...I am really, really looking forward to working through this program. So far....highly, highly recommended. I'll come back w/ reviews, as I have always appreciated the reviews of others, especially when a product is a bit more expensive as this one is. One note...I went out tonight and dropped the cash on a really good set of noise canceling headphones, and this makes a HUGE difference, imo. It makes the experience a lot more enveloping or encompassing, hard to describe, but just...ah, just get some really good headphones and you'll see what I mean.